This Trading system is Trend following and Reversal and it's based on the indicator Trend Range v.2 MT4 (channel trading). 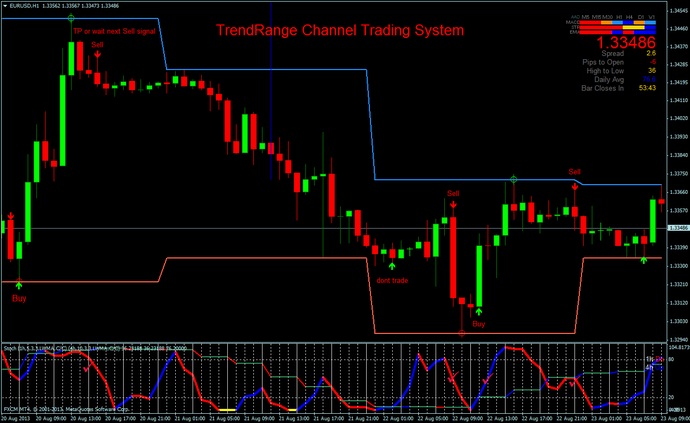 Rules for TrendRange Channel Trading System. The Signal BTS exit indicator touches the lower band. Stochastic below the window chart is blue. Entry position, at the first swing green arrow. The Signal BTS exit indicator touches the upper band. Stochastic below the window chart is red. Entry position, at the first swing red arrow. Exit Position with BTS Exit or wait Nex oposite signal. 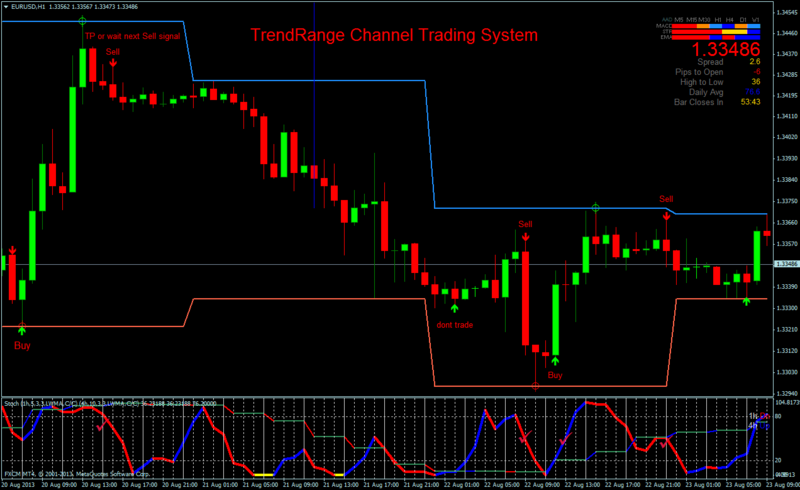 TrendRange Trading System. Indicators and Template.